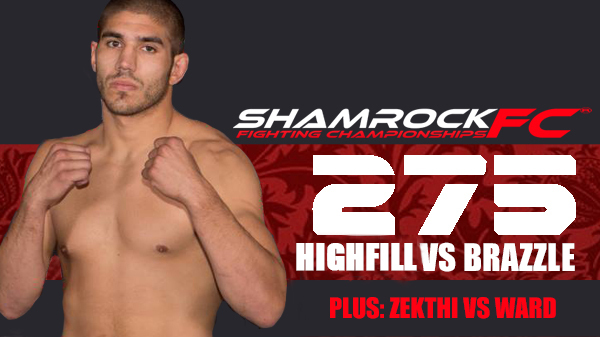 Shamrock FC returns to their marquee MMA venue in the region, the River City Casino, on September 9 for SFC 275. The well-stocked card features professional and amateur MMA with some amateur K1 thrown in for good measure. The main event has the return of Mike Brazzle, a 3-1 welterweight that has not fought in over four years. 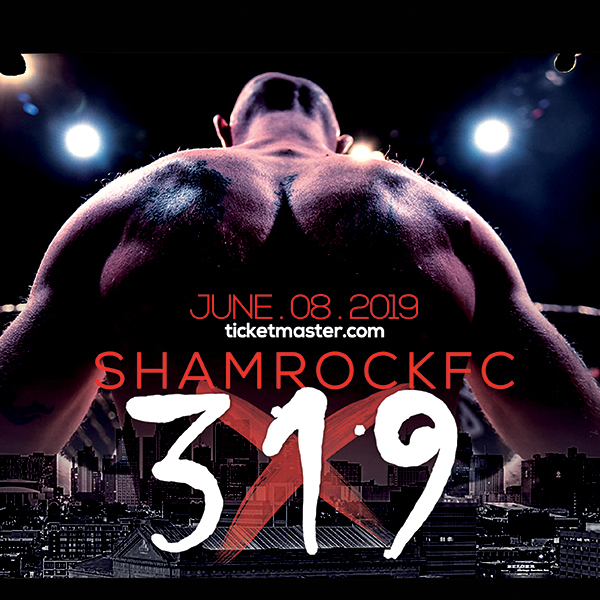 During a four-month stretch in 2012, Brazzle won three straight, all by first round finishes, under the Shamrock FC banner. Originally scheduled to face Jordan Dowdy, Brazzle will now take on Dowdy's training partner Aaron Highfill. After sustaining a nasty cut in training, Dowdy will bow out and let his ally from the War Room Highfill (2-1) take his spot in the main event. Bunker Hill's favorite son, Highfill has had to overcome a series of setbacks en route to his fourth pro fight on September 9th. Debuting as a pro in September of 2014, Highfill injured his back in an ATV accident and took nearly 8 months off to recover. Highfill would again injure himself after his December 5th victory over Kevin Brown, and has not seen action since. The co-main event has main event talent as Trevor Ward faces Erion Zekthi at bantamweight. Zekthi, an amateur champ in two different promotions, including the SFC's featherweight's, will be making his pro debut. Ward left Springfield, Il around the spring of this year and caught on at the famed Jackson-Wink MMA Academy in New Mexico, arguably the most productive MMA gym in the world. Ward is 5-2, having lost two of his last three. Kendrick Latchman finished Ward in the third round at December's SFC: Ultimate. Ward, at six-feet tall, will have a noticeable height and reach advantage over Zekthi, who combines a solid ground attack with his high fight IQ. This will be Ward's first pro fight at 135, having fought as a flyweight and at both weight classes as an amateur. Cort Wahle's flash and panache was stifled in his last outing, as Scott Ettling picked up a submission victory over him in June. Wahle (1-1) looks to get back on track when he takes on Seth Basler on the main card. Basler (0-2) is from Southern Illinois and fought UFC, RFA, and Bellator veteran Justin Lawrence as an amateur. Shaun Scott makes his pro debut against the always-tough Sean Woodson. Scott, a super athlete who looks the part, was the SFC amateur middleweight champion. You can't sleep on Woodson, who has accuaracy and pop in his hands along with an ever-improving ground game. Popular heavyweight Lee Burns (2-1), fresh off his Bellator debut in June (where he suffered a loss to Byron Stevens), looks to redeem that loss with a bout against Justin Grant (0-3). Grant, from Springfield Mo., just fought Anthony Garrett in Kansas City. The undercard is highlighted by a amateur title bout between Derik Scott and Issac Purnell an interesting match-up between Sam Tamayo vs Evan Elder.